Visible obscuration is a key element in the creation of a realistic life fire training experience. As you might be aware, KFT's live fires don't create much smoke on their own as they are fueled by clean-burning gases, so a separate smoke generation system is of the essence here. 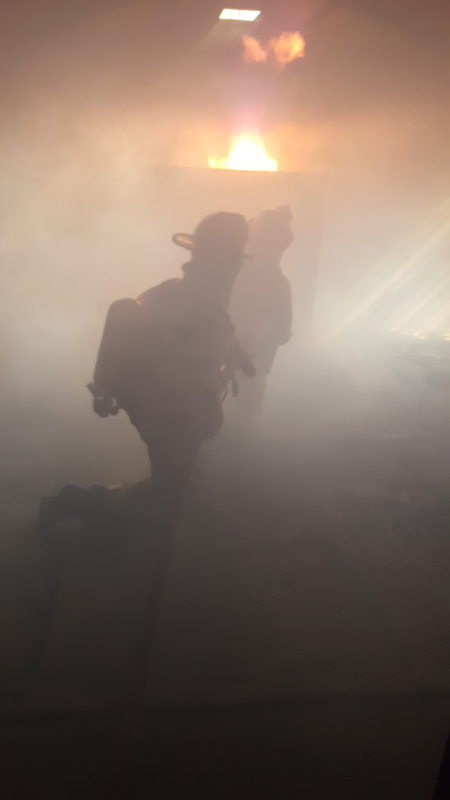 KFT's smoke generation systems create smoke obscuration of less than 3 ft (~1 m) visibility within 15 minutes at start up and maintain the visibility during the fire training exercises. Of course the smoke is non-toxic, safe for use with open flames, and safe at the operating temperatures within the burn room. For most learning expectations with live burns, the color of smoke doesn’t impact the learning outcome. Using live carbon smoke to teach fire behavior can be hazardous. For most teaching objectives low or zero visibility is possible using KFT simulated smoke. The smoke is more controllable, and can be entered into the space on que. The video on the right shows simulated smoke in a fully vented large space. Even with losing smoke volume through the ventilated roof, the instructor can achieve zero visibility. The smoke fluid used in KFT's smoke generators consists of a Glycol/Water material that is environmental friendly, safe and non-flammable in the fire training environment. 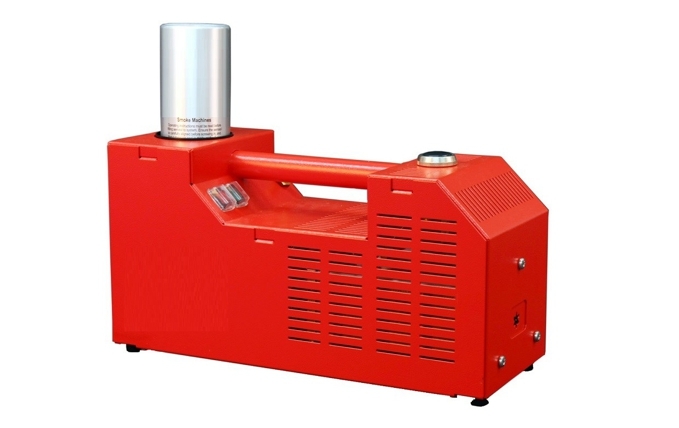 KFT offers two types of smoke generators with different accessories. 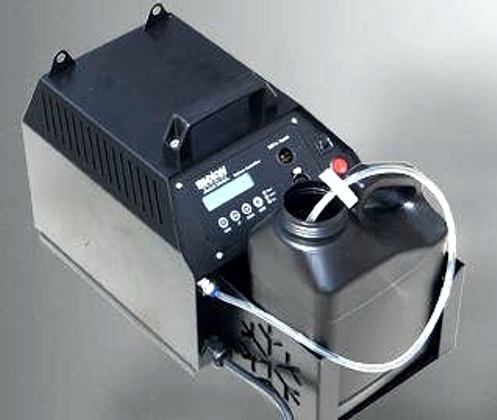 KFT’s classic smoke generator SmokeMaster™ can be used as a portable smoke generator only or when integrated into a KFT FireTrainer® system.